At Daisy Executive Limousine we understand the importance of getting from the airport to your desired location - or vice versa. We also know that you want to get there on time, without a hassle and in comfort. When hailing a cab or waiting for a shuttle service just won't do, call Daisy Executive Limousine when you need a limo in New Jersey, a limo in New York or any of the surrounding greater areas. We serve Newark Liberty International airport (EWR), LaGuardia airport (LGA), John F. Kennedy airport (JFK), Teterboro airport (TEB), Westchester County Airport (HPN), Islip MacArthur Airport (ISP), and Philadelphia International Airport (PHL). Coming in early or leaving on a red eye? No problem. Daisy Executive Limousine can accommodate any schedule, day or night. Not only that, when you schedule your transportation with us, we monitor your flight with a computerized system so that we know exactly when you're arriving or departing. We understand traffic situations better than anyone and can anticipate the exact time we need to pick you up from your home or hotel to arrive at the airport on time. Stop stressing about your airport transportation and let us provide you with a limousine in NYC and the surrounding area that will get you where you need to be on time, safely and in comfort every time. 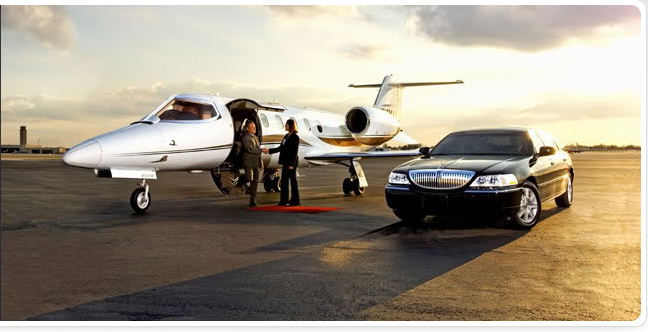 Daisy Executive Limousine is committed to professional, safe and reliable airport service. When you reserve a limo in NYC, your chauffeur will handle your bags and assist you when entering and be exiting the vehicle. No need to worry about dangerous traffic and waiting cars. When you reserve a limousine in NYC, we've got your back - literally. Our chauffeurs are trained to assist customers and navigate all traffic situations so that all you have to do is sit back and enjoy your ride to or from the airport. When arriving at the airport, your limousine in New York chauffeur will meet you at the baggage check area and assist you to the vehicle. When departing to the airport, your limo in NYC chauffeur will work with the hotel bellmen to arrange to have your bags delivered to the vehicle for a smooth departure. 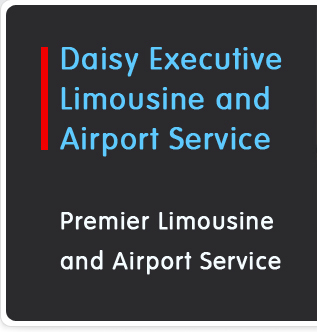 To learn more about our airport services and to schedule your limo in Connecticut, New York or the surrounding area, contact Daisy Executive Limousine today! At Daisy Executive Limousine, we strive to not only meet but exceed your expectations. Regardless of your reason for travel, we want to take all of the stresses of transportation off your mind completely. When you book a limo in Manhattan or the greater area that we service, you are guaranteed unsurpassed service from the moment we pick you up until the moment you are safely delivered to your destination. It's no secret that traffic in New York and metropolitan areas of New Jersey, Connecticut, and Pennsylvania can be a source or stress to travelers trying to get somewhere on time. At Daisy Executive Limousine we understand this, and we only hire seasoned chauffeurs that can navigate the traffic, construction and any other obstacle that pops up in order to get you to your destination on time. We're called Daisy Executive Limousine, but we actually have several different vehicle styles and models to meet your exact needs. Business professionals will be comfortable in our Lincoln Sedans that are comfortably appointed with leather seats and tinted windows to make traveling to your destination both practical and comfortable. Larger groups will appreciate our Ford Club Van which seats eight comfortably. Guests or families traveling with a lot of luggage will find our GMC Denali roomy and comfortably appointed. Guests who are looking for a luxurious limousine in Manhattan will appreciate our fleet of stretch limousines that comfortably seat 10 passengers and are fully equipped. When you're ready to book your limo in NYC or any of our other vehicles, call or Contact us for your free estimate. We serve the greater areas of New York, New Jersey, Connecticut and Pennsylvania. If you need to get there, we can get you there - safely, comfortably, on time and in style! When you need a limousine in NYC or the greater parts of New Jersey, Connecticut or Pennsylvania, Daisy Executive Limousine is your one-stop shop. From airport services to family transports to formal events, we have a limo in New York City or another city to meet your exact needs. We strive to exceed your every expectation and to always go above and beyond to meet your transportation needs. From the time that we pick up you up until you are safely delivered at your destination, we strive to make your experience comfortable, pleasant and safe. While we specialize in limousines in New York and the surrounding area, we actually have many different vehicles to choose from depending on your needs. Our Lincoln Sedans will suit the business traveler. With tinted windows and leather seats, you can travel to your destination in comfort, safety and style while continuing to work from the backseat. For large families or groups traveling longer distances, our Ford Club Van seats eight and is both practical and affordable. Anyone that wants a little extra storage room will appreciate our GMC Denali. Ideal for families traveling with a lot of luggage, this vehicle can get you where you want to be safely and comfortably. For the ultimate in a luxurious limo in New York City, we offer an extensive fleet of stretch limos that seat 10 and which are comfortably appointed with all the luxuries those accustomed to traveling via limo expect to receive. Daisy Executive Limousine proudly serves the greater areas of New York, New Jersey, Connecticut and Pennsylvania. Regardless of where you need to go or the type of vehicle you require, we've got you covered. From business trips to special occasions, we promise to make your transportation safe, comfortable and memorable. Contact us today for a free estimate and to find out more about our extensive fleet of vehicles for hire. At Daisy Executive Limousine, we pride ourselves on servicing all of our travelers' needs, big or small, one time or many. But if you are a frequent flyer or traveler to the area, you may be interested in learning more about the benefits of our corporate account holders. Corporate account holders have many benefits over customers that call us on an as-needed basis. When you have a corporate account with Daisy Executive Limousine we become an integral part of your support team; we're there to pick you up, we're there to drop you off, and everything in between. We uphold the most stringent standards when it comes to representing your company and professional image. We believe in building strong relationships with our valued customers. When you need a limo in NYC or a limo in Connecticut, and you have a corporate account with us, we give you priority over other customers and strive to meet your requests, day or night. Best of all, we can bill your account for any travel, whether scheduled or last minute. We take all major credit cards and provide flexible billing options for our corporate accounts. Opening an account is easy: simply call one of our 24 hour numbers to speak to a customer service representative. Daisy Executive Limousine has an exclusive online booking system for our corporate and private account holders. Book your travel 24 hours a day and rest assured we will show up on time with your desired vehicle. Our online system allows members to view vehicle options, request free estimates, and book travel. After transportation is complete, members can settle their bill on our website through credit card or check payment. If your travels have you overwhelmed, don't worry, we'll send a billing reminder so that you can contact us to schedule payment at your convenience. If you need a limousine in New Jersey or the greater areas of New York, Connecticut or Pennsylvania, contact Daisy Executive Limousine today to see how we can make your travels more comfortable, safe, timely and affordable. Frequent travelers will find our corporate and private accounts both beneficial and practical, making travel one less thing to think about. © 2005-2014 Daisy Executive Limousine.